If you need help, you can call our Nashville law office today at (615) 807-7900 to schedule a free case review, or you can contact us online for a prompt response to your concerns. Pay Nothing Unless We Win Your Case! If you were seriously injured in a car accident, animal attack, or a slip and fall premises liability incident, you may find yourself facing a great deal of unexpected debt from medical bills related to your injury and time missed from work during your recovery. Because of this, you may be contemplating a personal injury lawsuit to deal with your financial issues; however, for many people, the idea of initiating a lawsuit can be somewhat daunting. Victims often wonder if they will have to go to court after filing a lawsuit. We have found that approximately 98 percent of cases we file a lawsuit for settle without going to trial. Understanding the various stages of personal injury lawsuits can help victims considering legal action decide how best to proceed. Receiving medical care is the first step victims should take after being involved in a personal injury incident—regardless of whether it was a car crash, animal attack, or a slip and fall on someone’s property. Not only is seeking immediate medical treatment important for your physical health and well-being, it's also a great way to strengthen and safeguard the health and well-being of a future personal injury claim. If you don't seek medical treatment and have your injuries documented by a medical professional, an insurance adjuster or a defense attorney could claim that your injuries were not related to the incident in question or serious enough to warrant a financial award. When documenting medical care related to a personal injury incident, make sure to include information about your diagnosis, treatment, prescribed medications, and any expenses you've incurred to date. While you may be able to settle a minor injury claim yourself, cases that involve serious injuries are best handled by knowledgeable legal professionals who have experience handling personal injury cases. If the accident and related injuries were serious, resulting in broken bones, expensive medical bills, or more than a few days missed from work, it's a good idea to consult an attorney who will protect your interests and help you pursue a financial award that's just and fair. After thoroughly reviewing your case and relevant medical records and expenses, your attorney will begin the pre-trial litigation process. During this phase, representatives from both sides will go over all the evidence, speak to witnesses, and schedule depositions—official examinations and cross-examinations that happen under oath, but outside of a courtroom. 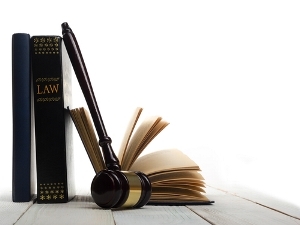 Once the legal representatives from both sides have all the relevant information, your attorney can determine what your personal injury claim is worth and make a demand. Usually, this happens after you've reached the point of maximum medical improvement (MMI). After your attorney makes a demand, attorneys from both sides have the opportunity to negotiate the amount of a potential financial settlement. If the attorneys and their clients can't come to an agreement, they may opt for mediation and have a neutral attorney serve as an arbitrator. In the event that mediation doesn't offer a suitable solution, the case may then go to trial. While many personal injury cases are settled before they reach the trial phase, sometimes the attorneys from both sides can't come to an agreement on a settlement, making an actual trial necessary. In personal injury cases, the length of the trial can vary—from a day, to a week, or even longer. At the trial, a judge or jury will determine liability and the amount of any settlement. Learn more about what to expect in a Tennessee jury trial. Do You Need Help With Your Personal Injury Case? If you were hurt in a personal injury incident, having the representation of an experienced attorney is the best way to protect your interests and increase your chances of receiving a fair financial award. If you're considering filing a personal injury lawsuit, contact the skilled legal team with GriffithLaw for a free evaluation of your case or a free copy of our book, The 10 Worst Mistakes You Can Make With Your Tennessee Injury Case. We're eager to review your case, answer your questions, and help you pursue any compensation to which you may be entitled. Do I Need an Attorney for My Personal Injury Case? What Is My Personal Injury Case Worth?